Before the movement toward tiny homes was popular, there was a trend that started it all and still remains – the need for energy-efficient homes. These homes are designed while considering the impact of the building materials on the environment by using natural resources, recycled materials, and new technologies, all while saving the homeowner money. It’s a win-win! So how do you go about turning your ordinary house plan into an energy-saving, earth-loving architectural masterpiece? Read on to find out. If your building site has lots of sunlight, look to use large windows or walls of windows on the home's south-facing side to soak up the heat from that sun and provide warmth in the winter. It’s important to make sure you have some kind of thermal mass, such as a tile, concrete, brick, or stone floor, inside the windows to absorb the heat energy from the sun. 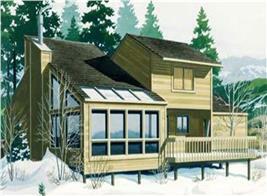 The sun is low in the sky during winter, so its warming rays will penetrate deep inside the house through the windows. Conversely, make sure you have strategically placed overhangs or awnings over the windows during summer to block the sun when it is high in the sky. The overhangs – or even blinds or shutters – can provide much needed shade for cooling in the hot months. The "wall of windows" on this 3-bedroom, 2-bath Contemporary style vacation home plan not only provide a great view but offer opportunity for solar heat gain as the sun's rays shine in during cold months. The gable-end overhang is wide enough to shade the windows – avoiding excess heat gain – during hot summer months when the sun is high in the sky (House Plan #146-2806). Be sure to frame your roof on top of ceiling joists to provide room for insulation throughout the perimeter of the home. Additionally, consider using 2x6 lumber instead of 2x4s to provide more space inside the walls for insulation. This will increase the R-value – or insulating value – from approximately between R-11 and R-13 to about R-19 to R-21. Other desirable framing techniques are shown below. 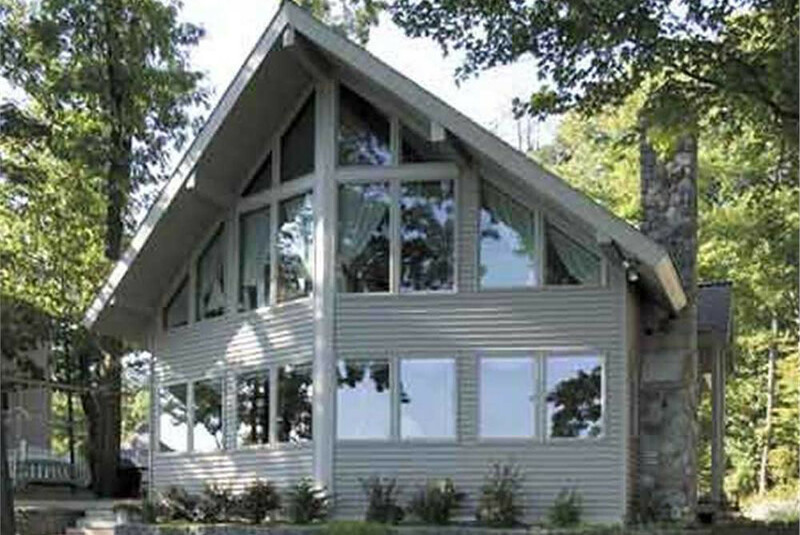 How a house is framed can make a big difference in its thermal performance. The techniques shown in the illustration above maximize energy efficiency (minimal use of lumber and maximum potential for insulation) while ensuring structural integrity. 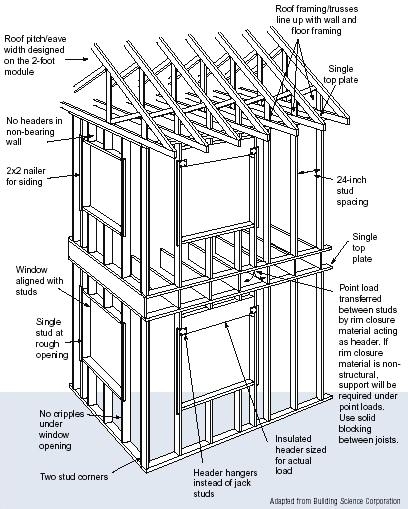 Some of the techniques include spacing wall studs, roof rofaters, and floor and ceiling joists on 2-ft. centers; eliminating headers in non-load-bearing walls; using single lumber headers and top plates where possible; and lining up floor, wall, and roof framing members to create an unbroken path to directly transfer loads to the foundation (courtesy energy.gov). 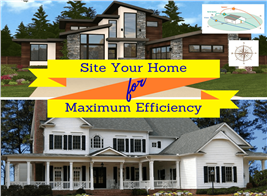 A home isn’t energy efficient unless it has adequate – or more than adequate – insulation. 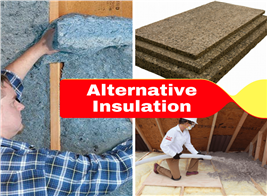 Use insulation in between walls, ceilings, floors, and other areas of the home. Use caulk to help seal around pipes and other small spaces. Find out the recommended R-values for the area that your building in to ensure you have the correct insulation for the job. A home with less square footage and a less complicated design equals a home that is more efficient to build by using less material and saving on labor costs. A simpler design – without a lot of embellishments, bump-outs, etc. – also makes it easier to fully insulate the building envelope to make it an energy efficient home by eliminating hard-to-reach corners, niches, etc. 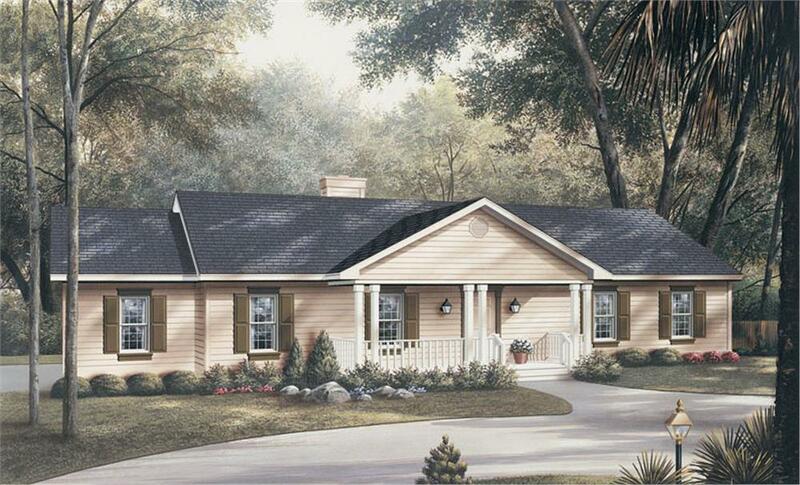 This 3-bedroom, 2-bath Ranch style home plan takes up only 1,360 sq. ft. and is framed simply – without lots of gables and valleys in the roof and bumpouts in the walls. The more simple the building envelope can be, the more efficient it will be in both construction and energy-consumption performance (House Plan #138-1012). Pick a home plan that utilizes every square foot. Avoid designs that have little alcoves or spaces that leave you wondering what you would use it for. Don’t just think about the now, think about the future and what spaces you may need as you your family grows, such as bonus room above the garage, or as you get older, such as a laundry room on the main floor. We know you’ve probably heard this a million times, but just to make sure: buy Energy Star products. Energy Star is a program of the U.S. Environmental Protection Agency that incorporates voluntary product labeling designed to identify and promote energy-efficient products with the goal of reducing greenhouse gas emissions. You can choose from appliances, lighting, heating & cooling, electronics, building materials, water heaters, home office equipment, and more. The labeled products meet certain design and performance criteria and are certified by the Energy Star program to be energy efficient. They will save you money and help the environment – really, why would you not do this? When you search for products, materials, and advice as you build your new home, look for this label if you want to ensure that what you are choosing has been certified by the EPA's Energy Star program. There are so many fabulous products to choose from, you will have a hard time deciding. Look for green materials for your countertops, floors, and fixtures. Green materials may be natural materials; sustainable materials, such as sustainably harvested wood; products that use recycled or recyclable materials; products that use less energy to be manufactured or allow you to use less energy in use; etc. If possible, consider installing a grid-connected or standalone solar power system. 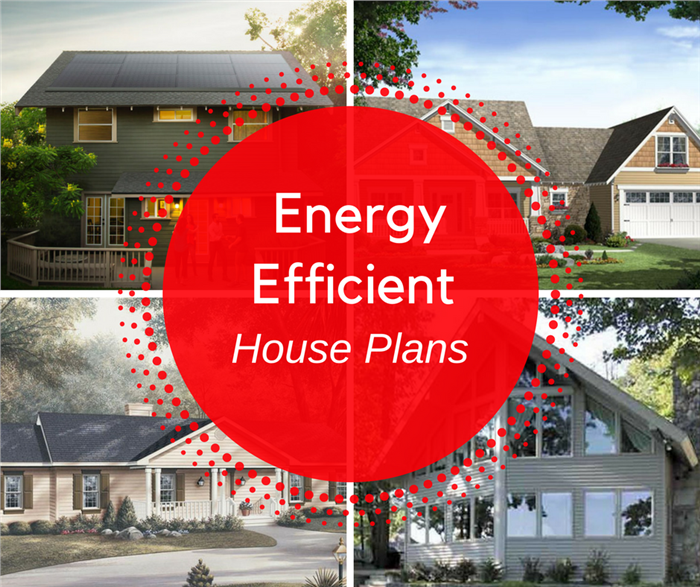 While this may involve an upfront cost, the ability to generate your own energy for your home for years to come will be a significant cost savings in the long run. In addition, there are dozens of programs in place nationwide to help reduce the upfront costs. Some states also offer special subsidies to help you save on the entire process, while others offer special loans specifically designed to help you purchase solar panels. You can find more details about your state’s policies through the Database of State Incentives for Renewables & Efficiency website. Installing solar panels on the roof of your home, whether connected to the grid or not, gives you some energy independence, provides clean energy, and can save money in the long run. 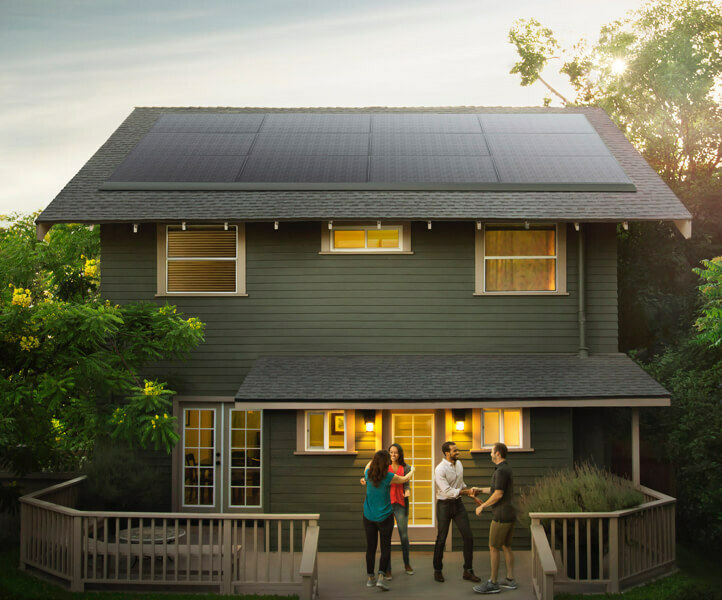 If you choose to connect the solar power panel(s) to the grid system, you can actually sell excess power that you generate back into the grid system, increasing the economic benefit of installing solar panels (courtesy Tesla). There are so many different options available that we couldn’t possibly list them all but this is good start. Still not sure if going green is right for you? Reach out to your local designer or builder – they will have plenty of information; especially if they are a certified green professional. Are you looking to build an energy efficient home or are you in the process of building your green home and have some more suggestions? Let us know in the comments section below – we’d love to hear from you!